Architectural & Interior Photographer covering both luxury residential and commercial projects. Full time photographer based on the borders if Nottingham, Leicester and Lincolnshire giving me easy access to the whole of the East Midlands and the rest of the country. Rodrigo Davila is a United Kingdom photographer specialising in high-end architectural photography. He shoots for some of the most celebrated architects in the country and his photographs are published in international architecture and photography reviews. As a teenager, Rodrigo inherited his grandfather’s Rolleiflex medium format camera and this sparked his lifelong passion for photography. His work as a professional started in architecture. Soon into his career as an architect, working on iconic buildings such as the Teatro Mayor in Bogotá, Rodrigo realised that his lifelong passion for photography could no longer be dismissed as a hobby. After working as an architect for two years and shooting landscapes and buildings in his free time, he moved to Melbourne, Australia to learn the craft of commercial photography, at RMIT University. 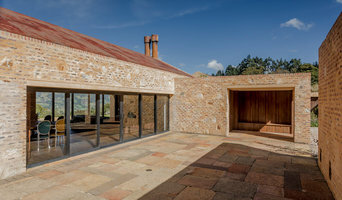 Rodrigo’s theoretical knowledge of design and advanced technical photography skills give him an unparalleled ability to understand that which architects are seeking to showcase in their photographs and how to achieve it. His previous experience as an architect gives him a unique perspective on how to shoot spaces and project the intentions of his clients. Urgent work always needs fast delivery. Dealing with an offshore company like Clipping Path Specialist is an advantage. They have a talented workforce that knows how important it is to the client to get digitally improved pictures on time. Spire Photography UK are professional photographers based in Leicester, Leicestershire, United Kingdom with a relaxed friendly approach specialising in stylish modern professional photography at popular Leicester locations and venues. Spire Photography UK believes that passion for photography combined with our strong style and understanding of light and composition create stunning images for every client. Based in Leicestershire, we have been creating bespoke professional photography both in studio and on location. A photographer cannot simply add any ingredient in order to make the item look attractive and colorful. Hence, good amount of research and homework is needed alongwith the chef who is responsible for cooking. If a nice buffet spread has to be shot, a commercial technician with the best camera is essential. Product Shot UK provides such human resources and also post processing facilities in Nottingham studio. Specialist in interior and real estate photography. I pride myself on client service,being very trustworthy , patient and professional at all times.Exceptional & thoughtful composition, high quality images are a must to convey the lifestyle aspiration to make your property or product stand out. I'm a photographer established 24 years providing photographic services, primarily, architecture or architectural within the built environment and landscape photography. Including, buildings and structures- exterior & interior and natural and landscaped environments - parks, gardens, etc... And additionally, Architectural/building consultant, With special interest promoting environmental and ecological sustainability In the built environment. Stefan Zander is an experienced commercial photographer based in Nottingham, UK. He shoots commercial and residential properties for luxury hotels and resorts, interior design companies, and architecture firms. Stefan thrives on the combination of technical skill and creativity required to shoot interiors and architecture. From shooting to post-production every image is meticulously crafted with great attention to detail. This results in striking images that communicate his clients vision. Specialist architectural, commercial and technical photographers. Based in Leicester, serving the UK north of the M25 and international clients with a UK office. Special services include ultra high resolution imaging and fine art printing. Extended survey and project progress photography. Large format quality without the hassle and cost. 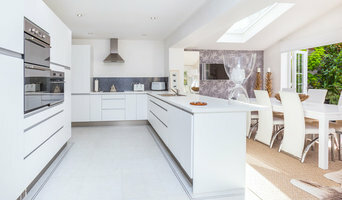 Why should I hire a professional interior photographer in Nottingham, Nottinghamshire instead of leaving it to the estate agents or letting agents, or taking the photos myself? 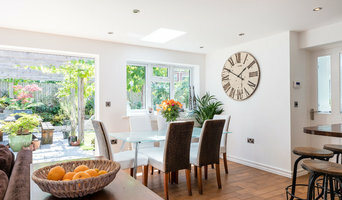 A professional interior photographer in Nottingham, Nottinghamshire will be able to evaluate the key selling points of your home and present those in a way that is truthful yet instantly appealing to viewers. Those images should be unique to your property, capture its feel and hint at its true potential. If you live in a top-floor studio, for example, the focus should be on natural light, views, detail and clever use of space. However, those living in a rural cottage should make sure that the cosiness of the fireplace lounge, the characterful range cooker kitchen and an abundance of outdoor space are shown off. Obviously, most estate agents and letting agents organise property photography themselves but some either don’t use the right equipment or they rush through the job. Let’s be honest, photography is not a core part of their skill set. If you are selling your home through an estate agent, you can expect to hand over at least 1.5% of the agreed price. Surely that should pay for a carefully considered and highly appealing set of photos? Not necessarily. And that's not all. Unless you live in a property hotspot, it’s a buyer’s market out there; fiercely competitive. Why not stand out from the crowd? For the right reasons. 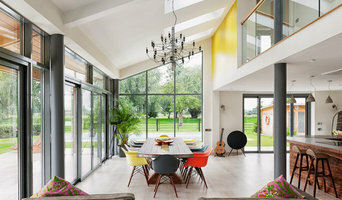 You will be amazed by what a professional Nottingham, Nottinghamshire interior or architectural photographer can do, given the time and a few extra pounds. And let’s not forget post-production and retouching. Some Nottingham, Nottinghamshire interior and architectural photographers will spend three times as long editing as they will shooting. If you have ever tried to use photo editing software such as Adobe Photoshop, you will understand why. That expertise and attention to detail is what you are paying for. And it might just pay back, with interest. Where can I find the best professional interior photographers and architectural photographers in Nottingham, and what should I be looking for? The best place to start is Houzz. Search for Nottingham, Nottinghamshire photographers in the Find a Pro section and then start to fill your Ideabooks with your favourite photos. Think about whether you need a professional with particular expertise – interior photographer, architectural photographer, landscape photographer – or an all-rounder. We also have professionals that specialise in 360-degree photography, if necessary. 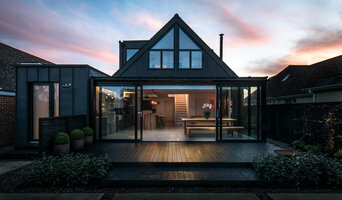 Some Nottingham, Nottinghamshire architectural photographers are more experienced in shooting certain types of property such as contemporary apartments or coastal retreats. You can find them by browsing the Photos section and working through the relevant style category. Carefully look through each portfolio, try to imagine who might best bring to life your home and then contact a shortlist of three. Although not essential, if he or she is a member of the Master Photographers Association (MPA) or the Association of Photographers (AOP) that might imply that they more seasoned and trustworthy. Find an interior photographer on Houzz. Narrow your search in the Professionals section of the website to Nottingham, Nottinghamshire photographers. You may also look through Nottingham, Nottinghamshire photos to find examples of photography that you like, then contact the interior photographer who worked on them.